Not just drivers are exploited by Boston’s cab trade. Passengers hurt in accidents often run into denial and evasion by poorly insured firms. This article was reported by the Globe Spotlight Team: reporters Jonathan Saltzman, Marcella Bombardieri, and Bob Hohler and editor Thomas Farragher. It was written by Saltzman and Bombardieri. Each accident happened in an instant. Elizabeth Rideout was standing on the sidewalk at Logan Airport, fresh from a Florida vacation, when a taxi hurtling out of control jumped the curb and plowed into her and a fellow traveler. Michael Metcalf, a Massachusetts Turnpike Authority worker, sat in a parked tow truck in the Callahan Tunnel, his emergency lights flashing. Suddenly, a cab struck it from behind with a powerful jolt. Marijke Rijsberman and her 19-year-old daughter were riding in a taxi to the Isabella Stewart Gardner Museum. The cabbie lost control and drove into a guardrail, hurling them face-first into the plexiglass divider. The results of the accidents, which occurred over a span of six years, varied: One person killed, another left in a coma for 18 days, two suffering facial and dental injuries, and one severe back problems. But all three accidents shared a common denominator: Boston Cab. Edward J. Tutunjian, a onetime cabbie who began buying taxi licenses 40 years ago, is the king of Boston’s taxi industry. Owned by Edward J. Tutunjian, Boston Cab has by far the biggest taxi fleet in the city, controlling 1 in 5 of the 1,825 licensed taxis. With taxi licenses, or medallions, worth more than $220 million, he has the deepest pockets in the taxi trade and the largest potential legal exposure as his trademark brown-and-white cabs zip around town. But when it comes to insurance claims, the game is rigged in favor of Tutunjian and some other taxi fleet owners — and against accident victims. The Spotlight Team reviewed scores of personal injury claims against Tutunjian and his cabs and found that, as is the case with so much else in the world of Boston’s cab industry, financial priorities are upside down. The owner’s interests are zealously protected. The passenger and the public come last. For one thing, Tutunjian and most other taxi owners buy far too little insurance to cover serious injuries. Marion Rideout, whose mother was run over by a Boston Cab taxi 10 years ago at Logan, battled Boston Cab in court. The three cabs involved in the accidents, like about 80 percent of the other taxis in Massachusetts, were operating with the state minimum bodily injury coverage of $20,000. That’s a fraction of what most motorists buy for their own cars, even though, according to the state Division of Insurance, cabs have seven times the accident rate of ordinary vehicles. That coverage is less than half the $50,000 required of bicycle messenger services in Boston. It’s also a tiny percentage of the $1 million coverage mandated at Logan International Airport for unmarked black cars known as livery vehicles. And it’s allowed because the Legislature has repeatedly ignored proposals to mandate more insurance for taxis. Mark Jenkins, a Peabody software entrepreneur whose girlfriend suffered a permanent brain injury in a 1994 accident with a Revere taxi that had only $20,000 in coverage, said he has testified at the State House four times since 2001 in favor of raising the minimum required cab insurance. Tutunjian takes this unlevel playing field and tilts it even further in his favor. Relying on a little-used provision of state law, he self-insures his cabs by depositing money in interest-bearing state accounts to cover his fleet, instead of paying premiums. Like many other fleet owners in Boston and elsewhere, he also divvies up his 372 valuable taxi medallions into dozens of corporations, which makes some potential litigants think that a cab in an accident belongs to a small business with modest assets rather than a transportation giant. In addition, Tutunjian denies any responsibility for the errors or negligence of the people who drive his taxis, because he and other fleet owners consider cabbies “independent contractors’’ rather than employees. The result of all this is plain: Accountability is minimized. People injured in or by a Boston Cab face a forbidding legal thicket. People like Marion Rideout and her mom. Rideout, whose 68-year-old mother was trapped under the rear axle of the taxi at Logan International Airport in 2003 and spent eight months hospitalized, said the company initially offered her family $8,000, then grudgingly increased the offer to no more than $20,000 to cover Elizabeth Rideout’s massive injuries. But unlike some accident victims who accept a woefully insufficient insurance payout, Marion Rideout refused to take “that’s all” as a final answer. She joined battle with Tutunjian — a battle that would continue for two nightmarish years. ■ The family of Anna Makrokanis, a 79-year-old woman who was killed getting out of a Boston Cab taxi in 1997 when the driver allegedly took his foot off the brake. ■ Mariano C. Lozano, a taxi driver who lost both his legs when the Boston Cab taxi behind him in line at Logan rolled into him, also in 1997. ■ Daniel Fitzgerald, a Boston police officer who allegedly suffered neck and back injuries when a Boston Cab taxi struck him while he was directing rush-hour traffic in the Financial District in 2009. The cabbie said his foot slipped from the brake onto the gas pedal. A trial is scheduled for May. ■ Dr. Merton Bernfield, who said he had his hand on a Boston Cab taxi as he spoke to the driver outside Children’s Hospital in 2001. When the driver sped away, Bernfield alleged, he fell and dislocated his shoulder. The 62-year-old professor of pediatrics and cell biology at Harvard Medical School had Parkinson’s disease, and his widow believes the fall led to a cascade of medical setbacks that hastened his death 13 months later. It is legal and common for business owners to form corporations to limit their liability, but lawyers for accident victims contend that Tutunjian exploits corporate protections to put his assets out of reach. They say he uses the power of his deep-pocketed corporations to solicit riders and attract taxi drivers, then denies those corporations have anything to do with his small medallion-owning companies when a cab is involved in an accident. “It would be as though I called American Airlines and booked a flight, and then something horrible happened on the plane, and they said, ‘We don’t own it. It was Ralph’s Plane Inc.,’ ’’ said the Bernfields’ attorney, Jonathan Karon. Several state judges and court officials have assailed Tutunjian for trying to conceal how his corporations are interconnected and for failing to turn over evidence to plaintiffs hurt in taxi accidents. “After living with this case over the past few months, I cannot help but conclude that Mr. Tutunjian has either a practice and policy of withholding documents in discovery or disposing of business records an ordinary businessman would maintain for years longer,’’ a court-appointed master wrote in 2007 in the case of a South Boston woman who broke her neck in the back seat of a Tutunjian cab hit by another car. Tutunjian then declined to discuss further personal injury cases filed against his firms. In fact, juries have ordered Tutunjian to pay, or he has agreed to pay, a total of $6.2 million in four personal injury cases just since 2004, including Rideout’s and that of the man killed in the same accident. Even so, the taxi magnate’s practice of self-insuring his fleet has proved a remarkable bargain for him. Instead of paying insurance for nearly 400 cabs, he keeps $10,000 on deposit with the state treasurer for each of his cabs as security in case of an accident. His taxis currently account for two-thirds of all the cars in the state-run self-insurance program. With almost $4 million on deposit, he has earned hundreds of thousands of dollars in interest over the past decade. Being self-insured means that Tutunjian, not an insurance company, decides what — if anything — to offer an accident victim. His taxi operation handles 500 to 700 insurance claims a year, Armen Mahserejian, Tutunjian’s nephew and top manager, testified in 2005. Lawyers say the company abuses that discretion, forcing people to either forgo what they are rightfully owed or pursue costly litigation. Maria Ramos De Mendoza discovered just how hard it can be to take on Tutunjian after she was hit by a Boston Cab taxi in 2008 while crossing a street in Newton. The Providence woman allegedly suffered head, neck, and back injuries. Police blamed the cabbie, noting that De Mendoza was in a marked crosswalk with a stop sign. Still, Boston Cab refused to pay any of her medical bills, according to her attorney, Matthew Durfee of Smithfield, R.I., although state law requires even self-insured companies to cover at least $2,000, regardless of who is at fault. As her case crawled through the court system, De Mendoza’s medical bills climbed to $10,000, and soon collection agencies were chasing her, Durfee said. Still, she had to wait more than three years before the cab company made an offer. Finally, on the eve of trial in November, the company offered a confidential settlement that De Mendoza accepted even though her attorney says she deserved far more. State insurance laws have sharp teeth – an insurance company found to have acted in bad faith could face triple damages. But Durfee said Tutunjian’s staff told him Boston Cab isn’t an insurance company, and doesn’t feel bound by those rules. After an inquiry by the Globe, state Treasurer Steven Grossman said he would ask the Legislature to end the self-insurance program because it benefits only the few prosperous entities that can afford to make $10,000 deposits. He added that $20,000 in coverage, whether paid through a traditional policy or self-insurance, was “nowhere near adequate’’ to cover people’s injuries. Despite repeated requests, Tutunjian declined to be interviewed beyond the 20 minutes he, two nephews, and another manager spent with a reporter who approached them in the garage. In a series of written statements, he invoked a class-action lawsuit by cabdrivers who allege that fleet owners and the city have improperly denied them benefits and fair wages. “Due to pending litigation, I have been advised by my attorneys not to discuss any information that could potentially be addressed in the case,’’ he said. The full story of Elizabeth Rideout’s ordeal opens a window onto the cold and Kafkaesque world of personal injury claims against Boston Cab. It began just before midnight on March 19, 2003, at the curb of Terminal C. Logan Airport was on high alert because of the US invasion of Iraq hours earlier. Rideout, a retired bookkeeper from Quincy, was coming home from visiting friends in Florida after the recent death of her husband. Yuri Wiseman, a 28-year-old businessman, was returning with his wife from Las Vegas to their home in Brookline. Rideout and Wiseman were waiting for cabs. They could not have imagined what would come next. Preparing to help a customer waiting at the cab stand, driver Mohamed Farah stepped out of the taxi he was driving but failed to put the car in park. When the Crown Victoria rolled forward, he leaped back in and mistakenly stepped on the gas instead of the brake. The cab jumped the curb, striking Wiseman and Rideout. Wiseman was pinned under the front of the two-ton car. He was pronounced dead at the scene. Rideout was trapped under the rear axle. A chaplain administered last rites before she was taken to Massachusetts General Hospital. Farah collapsed to the ground, crying, “It’s me, I’m dead, it’s my fault!’’ according to a state trooper. Marion Rideout was alerted to the news by a phone call to her fiance’s home in the Seattle area, and soon returned to Boston. As her mother was hospitalized for eight months and underwent seven operations, the younger Rideout found herself trying to unravel the Gordian knot that is Boston’s taxi industry. Dozens of drivers waited for fares in the taxi pool area at Logan International Airport. She soon learned about the legal loophole that allows most cabs in the state, including Tutunjian’s, to be inadequately insured. Only 15 percent of ordinary passenger cars in Massachusetts carry the minimum legal insurance, which requires $20,000 for one victim and a total of $40,000 if two or more people are hurt or killed. In contrast, eight of 10 taxis on the road carry what is known as “20/40” insurance, according to 2011 statistics compiled by the state Division of Insurance. 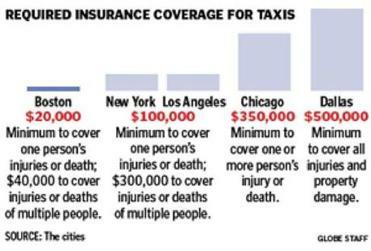 Some cities insist that cabs carry more insurance than regular cars. New York City and Los Angeles, for instance, each require that taxis carry insurance of at least $100,000 to cover one person’s injuries or death and $300,000 to cover multiple people. Chicago requires that cabs carry at least $350,000 to cover one or more individuals. Dallas requires at least $500,000 to cover all injuries and property damage. “These are professional drivers, and we believe they should carry insurance that accounts for the fact that they are carrying precious cargo, as opposed to simple conveyance,’’ said Allan J. Fromberg, a spokesman for the New York City Taxi and Limousine Commission. While there are no national statistics available, the Globe also found a few cities that allow cabs to carry even lower insurance than Boston. Philadelphia requires only $15,000 in coverage for one person injured, the same as for ordinary cars. 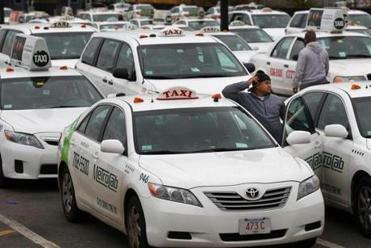 For years, the Massachusetts Academy of Trial Attorneys and Massachusetts Bar Association have urged the Legislature to raise the insurance required of taxis. So has Jenkins, the software entrepreneur whose girlfriend was injured when a Revere cab went through a stop sign and struck her car at Logan Airport in 1994. After she paid her lawyer and medical bills out of the $20,000 insurance payment, she only had $3,000 left, he said. An executive in a seafood export company when the accident occurred, she can no longer work, he said. The couple married after the accident but later divorced. In that legislative session, two insurance associations opposed a bill to raise the minimum insurance for taxis to what New York City and Los Angeles require. An official with one of the groups, Property Casualty Insurers Association of America, told the Globe it generally opposes mandates for higher insurance and it was concerned that insurers would have to pay bigger claims. Amazingly, Tutunjian has tried to straddle both sides of this insurance equation. 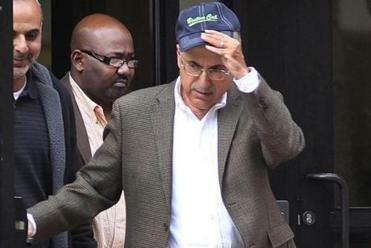 His lawyer argued in one personal injury case that it was “unfair and unreasonable” for a driver who hit a Boston Cab taxi to carry only the minimum required insurance of 20/40. Yet Tutunjian said it was reasonable for his cab to have the same coverage. “I’m going [with] whatever the law says, the minimum,” he testified in 2008. For the Rideouts, the paltry insurance on Tutunjian’s cab was hardly the only problem. Rideout’s mother was struck by a taxi that bore the Boston Cab insignia. But smaller print on the door said the taxi was “O/O’’ — owned and operated — by another entity, Vicky’s Inc.
As medical bills for her mother began to pile up — they totaled more than $700,000 by the end of 2003 — Marion Rideout spent sleepless nights researching Vicky’s. She examined corporate records on the Massachusetts secretary of state’s website and even parked across the street from the Boston Cab garage to watch taxis come and go. She learned that Vicky’s had eight medallions, but no one named Vicky owned it. It belonged to Tutunjian — as did dozens of other taxi companies. These mini-cab companies, she would find out, existed almost exclusively on paper. No employees. No bank accounts. No telephone numbers, other than the one for Boston Cab. Although the medallions held by each company were valuable — each worth as much as $625,000 today — they were highly leveraged because Tutunjian had used them as collateral to borrow tens of millions of dollars to buy more medallions and make other investments. Loading the medallions with debt also makes them less attractive to litigants. After two years of legal jousting and a judge’s order freezing $5 million of Tutunjian’s assets, the cab tycoon settled Elizabeth Rideout’s lawsuit out of court for $1.5 million. Rideout also sued the Massachusetts Port Authority, which runs Logan Airport. It settled her claim for $1.3 million, according to the authority. 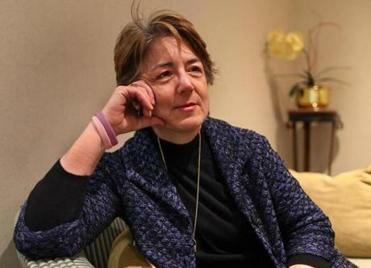 Wiseman’s widow settled her suit against Tutunjian for $1.25 million — after another judge also froze $5 million of Tutunjian’s assets — and received about $1 million to settle a claim against Massport, according to court documents and the authority. As a result of the horrific accident, Massport improved Logan’s safety protocols, requiring drivers to shut off the engine before getting out of a cab. Tutunjian’s determination to protect his business and his wealth is epitomized by the firm at the center of his empire — EJT Management. EJT maintains bank accounts to handle daily cash flow, and has dozens of employees who buy and repair taxis and hand out keys to drivers. But it is not, Tutunjian has repeatedly argued in court, a taxi company. EJT itself owns no medallions and has no responsibility for what those drivers do on the road, he contends. It just rents taxis to “independent businessmen,” in Tutunjian’s words, who present a valid hackney license and safe driving record. And Tutunjian himself has had difficulty at times staying on script. If plaintiffs can prove that Tutunjian’s corporate setup is a facade, the law allows them to pursue his larger business empire for damages. But it is a high legal hurdle to clear, one that requires marshaling detailed evidence about how the company operates. When Tutunjian settled Wiseman’s and Rideout’s lawsuits, as well as that of Lozano, the cabbie who lost his legs, it was only after judges signaled some sympathy for that argument. However, the judge in the case of the South Boston woman who broke her neck in a cab in 2000 examined whether Tutunjian’s corporate structure was a facade and found the evidence inconclusive. Still, the jury in that case awarded the woman and her family about $2 million in damages in 2008. Because Tutunjian had greater financial means, he was ordered to pay most of the award even though the jury concluded that the driver of the car that hit the taxi bore most of the blame. Another jury awarded Metcalf, the Mass. Pike worker whose truck was struck by a Boston Cab taxi in 2001, $1.4 million, for debilitating back injuries. That didn’t sit well with Tutunjian, who then sued his own attorneys of many years for malpractice. That case was settled out of court. As Tutunjian pointed out in a statement to the Globe, juries have sided with him in several cases that went to trial. Last fall, for example, a jury rejected a claim by a Boston University student who suffered a brain injury when she was struck by a cab as she jaywalked across Commonwealth Avenue on Halloween night in 2008. The Globe found nearly 100 personal injury lawsuits filed against Tutunjian’s companies in the past two decades. Despite the raft of cases, there is no reason to think that Boston Cab drivers are more accident-prone than those of other cab companies. But there is no way to tell. Boston police do not track accidents involving cabs. It’s also likely that the number of lawsuits understates the number of people injured by Tutunjian’s cabs. Numerous lawyers told the Globe that many more victims cannot get an attorney to take their cases because it is so difficult to penetrate Tutunjian’s legal fortress. Others are discouraged by the 20/40 insurance limits for cabs, unaware that behind those low coverage limits are wealthy owners. Rijsberman, who was riding in the cab that slammed into a guardrail on Storrow Drive in 2007, suffered a concussion and broke her cheekbone and eye socket. Her daughter’s face was badly cut. Both required surgery. A resident of the San Francisco area, she says she was able to get a good lawyer only because the potential insurance payout was higher with two victims. Still, Rijsberman and her daughter had to file suit and endure emotionally painful depositions. Her daughter, a student at Yale, emerged from hers in tears. At Rijsberman’s deposition, a lawyer for the cab company suggested that Rijsberman was opportunistic because she had pictures of her facial injuries taken soon after the accident, she said. At a subsequent mediation session, she recalled, one of Tutunjian’s nephews, attending on his uncle’s behalf, was barely civil and scowled at her. Her lawyer, Joseph B. Green, said he believes that Tutunjian decided to settle the case in part because Green threatened to conduct a forensic audit of the taxi magnate’s finances. Rijsberman said the state could help other families avoid a similar ordeal by insisting that cabs carry higher insurance.